I am back in Philly from my little trip to the South of France, and thus back to the harsh reality that in less than two weeks, we will be leaving the house that my family has inhabited for the past dozen years. A large dose of that reality is the fact that I still have about 90% of my collection of wine to pack up in preparation. So why am I sitting here pounding away at my keyboard? Before I descend into the abyss of over 125 cases of wine, I thought I would send out a few reminders…. A couple of weeks ago, I found out that I was a finalist for a Wine Blog Award Best Blogpost of the Year for my post “Ohmygod 39–Into the Widow’s Cellar.” The public portion of the voting is now open, and you can vote HERE if you are so inclined. The Blogpost of the Year category is the sixth one down, but you really should be checking out all of the finalists. Yesterday, the kind people at Snooth.com published another of my articles, this one about Cru Bourgeois wines from Bordeaux. Be sure to go over THERE and check it out. And last, the date for my last Sip and Spin is June 17th. I have been doing these Spinning class/wine tastings for well over a decade, and this one promises to be the best–I have a great selection of wines from Rodney Strong Vineyards! So if you have never been, and will be in Philly that Friday, give me a shout and I will try to squeeze you in! As of Wednesday there were just three spots left! 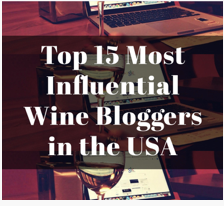 This entry was posted in Spinning, Wine, Wine Blog Awards. Bookmark the permalink.